Visual strategies are simply ways to provide information visually. Common examples in everyday life include: calendars, maps, traffic signals, shopping lists, clocks, street signs, GPS devices, store isle markers, assembly instructions, etc. Once said, words are like smoke, they disappear. Once sign language is used and hands are quiet, the information is gone. Written and picture information provide opportunities to visually process information and to revisit the information if needed. Who can benefit from using visual strategies? Anyone who has vision can benefit from visual strategies, especially visual learners. Students on the Autism spectrum are especially prone to be visual learners and benefit from the use of pictures when attempting to access and convey information. Pictures with words – understandable to the largest group of people, literate, non-literate, English as a second language can all benefit. Weekly schedule – events upcoming this week. Ex. No school on Monday. Transitioning – When leaving the classroom, show a picture of where we’re going. Picture/Name cards – Whose turn is it? Who is here today? What’s this person’s name? Put labels on items in the room, give the student a card with the item word or picture and have him match it. Have the child point it out to you or go and touch the item or bring the item to you. Create a visual grocery store list with pictures of items. Let the student take the list and collect the items. Make a visual chore chart with pictures of the chores and those assigned to them. Make a visual/picture schedule of the day’s activities – breakfast, school, karate, dinner, TV, bath and then bed. 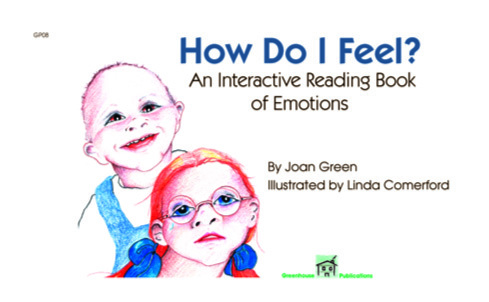 How do Interactive Reading Books incorporate visual strategies? Interactive Reading Books are in compliance with and have met educational standards requirements with the California Department of Education. All books are based on IEP goals currently used in educational programs across the United States. Article by Joan Green of Greenhouse Publications 2019.